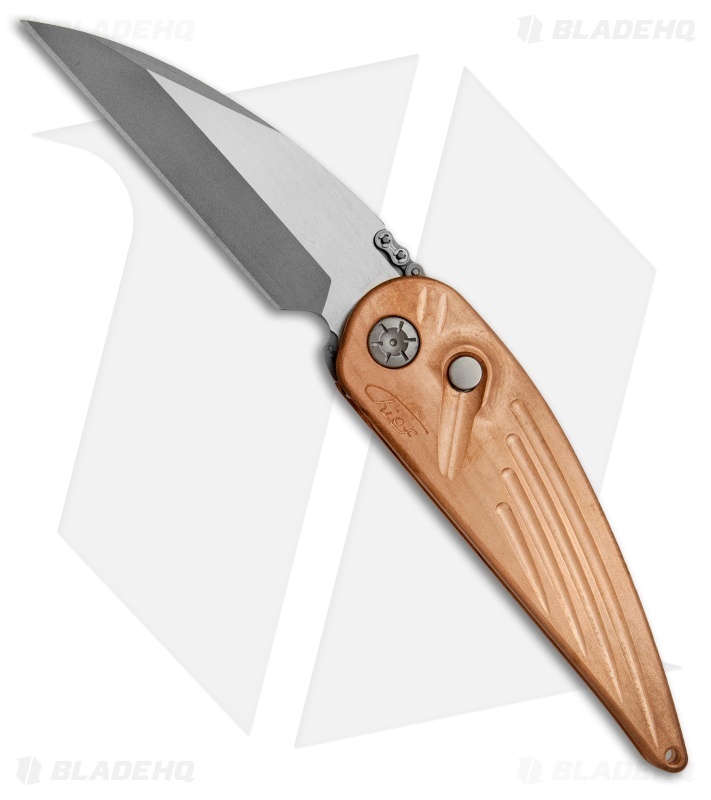 This MRX Chief model has a copper handle and a two-tone satin finished blade. 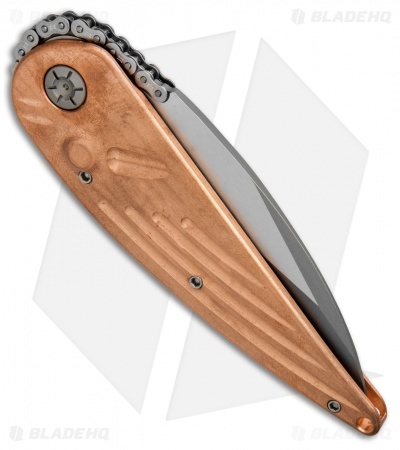 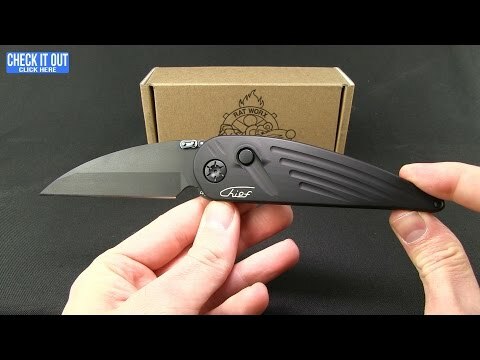 Representing an original design from Ratworx Chief designer, the Rat Worx MRX Chief offers a retro aesthetic and an ultra-thin design that is setting a new standard for EDC automatic knives. A recessed firing button prevents misfires and allows for deep pocket carry. 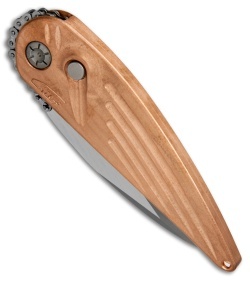 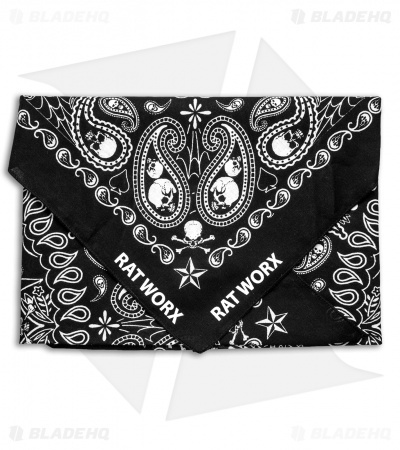 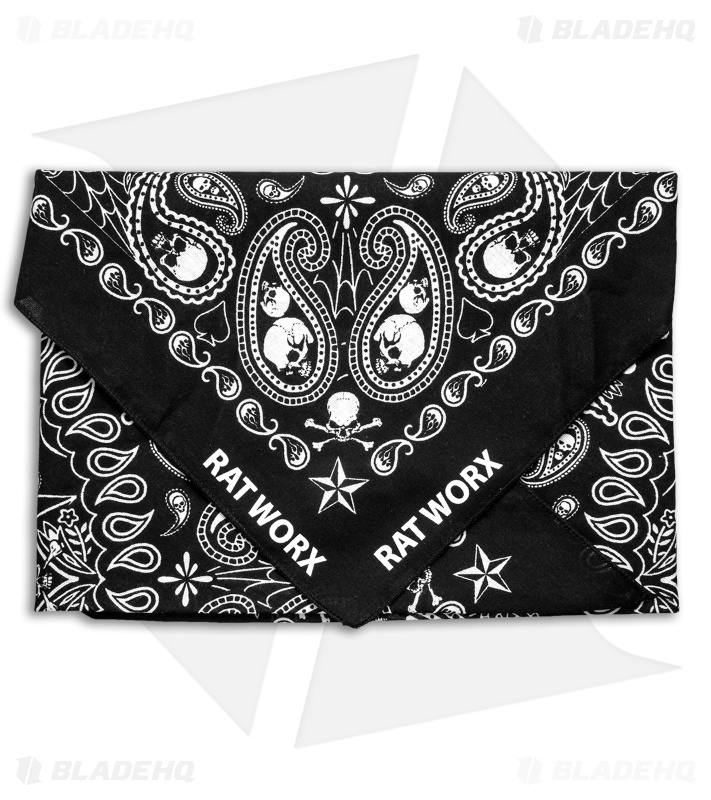 The Rat Worx Chief includes a pocket clip and lanyard hole for convenient EDC. Ultra-thin blade and handle design offers maximized comfort in the pocket and hand. Wharncliffe style blade for excellent piecing, chopping and slicing applications. Recessed firing button prevents misfires without the need of a safety lock.